Walltron is a range of state-of-the-art construction solutions that can protect your home for longer. The brand brings you a wide array of products and services that cater to different requirements ranging from fungicidal solutions to repair polymers and adhesives. Our products include Kleanwall, N-Seal, Wall+, EnhanceR, Stylfix and Aquasil. Read on to know more. 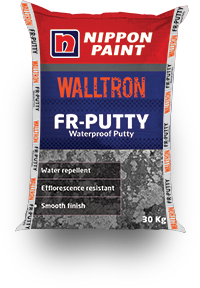 Walltron Aquasil is a water based, high performance silicone clear, waterproofing compound. It has excellent hydrophobicity due to very compact silicon structure. It does not allow water to penetrate the surface but at the same time has excellent permeability which will eventually facilitate evaporation of blocked moisture from inside the surface. Used on stone, porous substance & plaster surface from water. 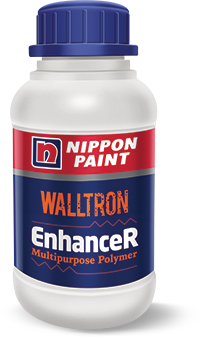 Walltron Kleanwall is recommended for highly infested interior and exterior walls, to prevent further growth of algae and fungi. 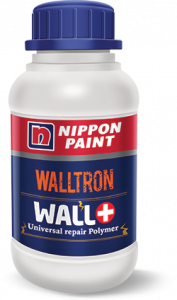 Walltron Wall+ is a ready-to-use high performance SBR based latex. It is used to repair spalled concrete, floors, columns, beams, chajjas, slabs & to waterproof of toilets and bathrooms, small terraces etc… as it bonds strongly to old and new concrete and plasters. 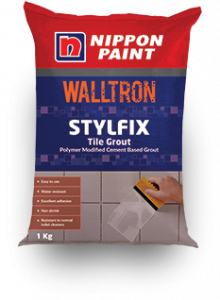 Walltron Stylfix Tile Grout is a cement based single component polymer, modified non-shrink tile grout for filling tile joints up-to 4 mm width. It has water repellent properties, excellent adhesion and good work-ability. 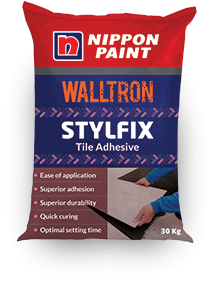 Walltron Stylfix Tile Adhesive for normal application is a single component, cement based polymer modified adhesive for fixing tiles on tile area. 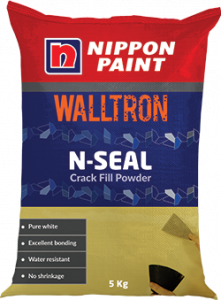 Walltron N-Seal is a cement based polymer rich powder mix, used to fill cracks up-to 3-5 mm thickness on plaster surfaces. 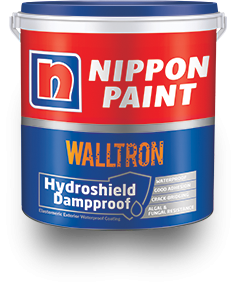 Walltron Hydroshield Dampproof is fiber reinforced elastomeric coating used for waterproofing. It forms a thick elastic film which covers cracks and blocks water, thus offering excellent waterproofing. 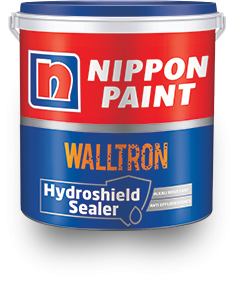 Walltron Hydroshield Sealer is a acrylic based sealer designed for fresh concrete surfaces or highly alkaline substrate. It resists efflorescence and provides excellent sealing property to the surface of application. 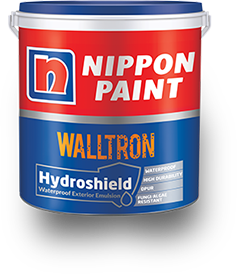 Walltron Hydroshield is self cross-linking acrylic emulsion based coating. It is used as waterproof durable coating protecting the exterior walls of buildings since it gives excellent waterproofing & has very good elasticity, breathability and crack bridging property.